This one's too close to call. But whatever happens, we'll be in for a treat. Tomorrow, November 25, the University of Santo Tomas Growling Tigers and Far Eastern University Fighting Tamaraws will face off at the SM MOA Arena in Game 1 of the UAAP Season 78 Men's Basketball Finals. Both teams have seen their fair share of Finals action the last few years. 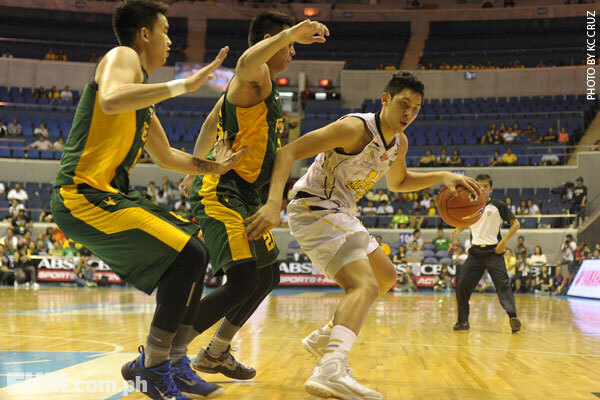 Last season, FEU fell short to the now-dethroned National University Bulldogs. On the other hand, this is UST's third Finals stint in four years. Both teams have intact veteran cores which helped them finish the elimination round with identical, league-best 11-3 win-loss records. Finishing on top of the standings gave them a twice-to-beat advantage in the Final Four, a luxury they didn’t really need as the Growling Tigers and Tamaraws dispatched their respective opponents in only one game. FEU was the first to advance to the Finals as they scored a dramatic 76-74 victory over Ateneo, thanks to Mac Belo’s buzzer-beating put-back. Meanwhile, UST gave Tomasinos a string of mini-heart attacks as their lead was slowly eaten away late in the game by a persistent NU side. The Tigers (no need to raise your hand, Jan Sheriff) struggled to convert their free throws during the final minutes of the game. Still, the España-based ballers managed to hold on to the advantage and win over the Bulldogs, 64-55, punching their own ticket to the Last Dance. Now join us as we dissect this season's UAAP Finals matchup! With two of the league’s most potent scorers in Kevin Ferrer and Ed Daquioag, you can liken the Growling Tigers to a sharp spear that can pierce any kind of body armor. The two Mythical Five members finished in the Top Five in scoring this season, averaging a combined 34.36 points per game. That’s pretty high for collegiate ball standards. UST also has Karim Abdul manning the middle. He may not be as dominant stats-wise compared to previous seasons, but he still provides that much-needed inside presence, both on offense and defense. Let’s also not forget UST’s other players, like España’s favorite bae, Louie Vigil, who came up big in the semis against NU. 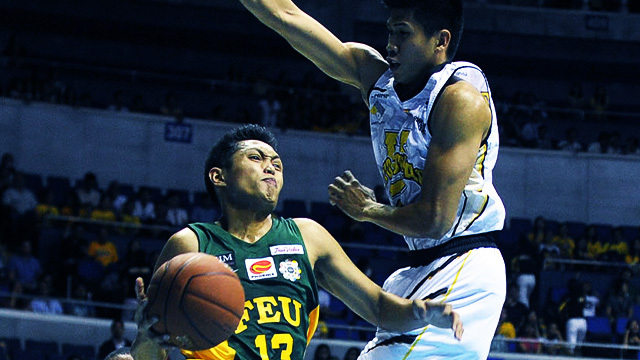 FEU, on the other hand, relies on steady defense and a balanced offense. They don’t have players who will explode for 20 or more points every game, but they do get the job done by sharing the ball, spacing the floor, and finding the open man. But what really defines FEU’s game is their defense. Tamaraw big man Belo has done a wonderful job guarding the paint and keeping penetrating guards at bay. Roger Pogoy has also transformed himself into a defensive ace. He is the only non-center who cracked this season’s Top Five in blocks with 1.08 a game. If both teams play the way they have been playing so far, the series will definitely be a toss-up. You have two teams that love inflicting damage from the perimeter. For example, in their Final Four match versus NU, the Tigers hoisted 27 shots from rainbow territory. That’s almost half of their 67 total field goal attempts the whole game! FEU, on the other hand, likes to test the paint, and then kick the ball out for an open three. Their offense usually starts with Mike Tolomia’s dribble penetration, with their gunners waiting in the wings for an uncontested trey. 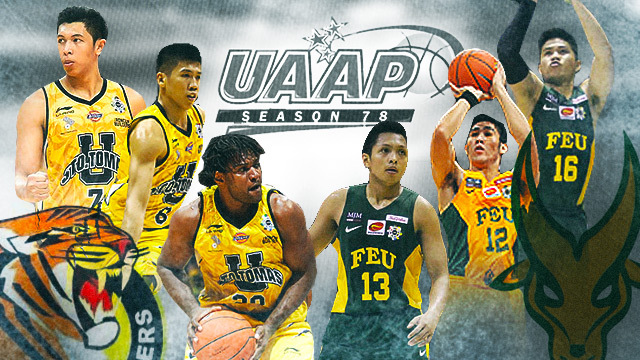 You cannot sleep on any of these Tamaraws as they can light it up from the perimeter. Well, maybe expect for their mountain of a bruiser, 6'8" Prince Orizu. UST swept FEU in the eliminations. 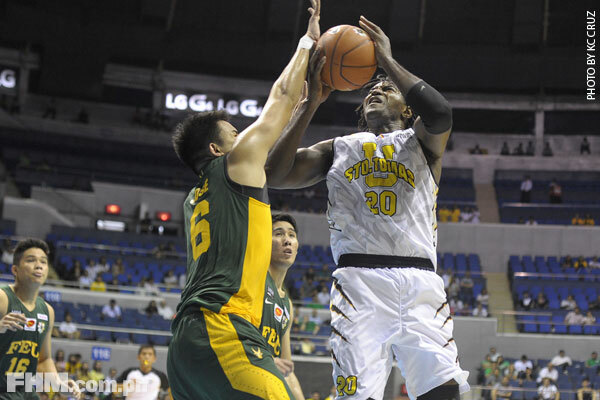 The Growling Tigers narrowly escaped the Tamaraws via a 72-71 thriller in the first round. They earned the top seed when they defeated the Morayta-based squad again, 85-76, in the second round. This pair of victories might give the Tigers the mental edge. They will march to the court tomorrow with hoops swag knowing that they've beaten the Tamaraws twice already this season. They've done it, and they can do it again. However, as that old basketball adage goes, championship games are different ball games. We’re pretty sure FEU is itching for payback, and there’s no better stage to get it than in the Finals. We mentioned earlier that these two teams love to shoot from the perimeter. But even if you have five Ray Allens, you'll still miss a shot here and there. So what do you have to do to avoid death via shooting bricks? 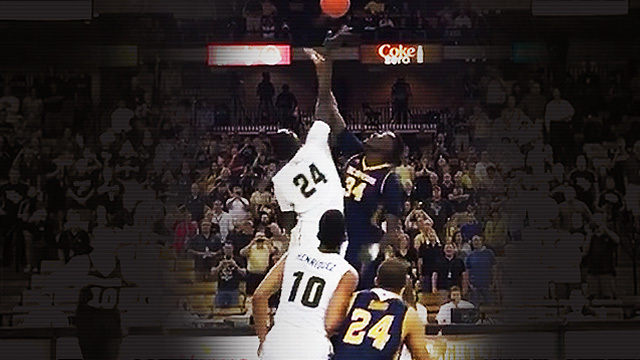 Secure the offensive rebound. This is where UST might encounter problems. Aside from Abdul, they really don’t have any other big man capable of gobbling caroms on a consistent basis. 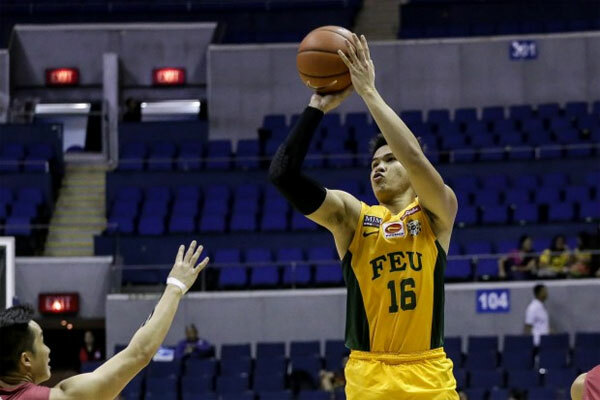 FEU has the veteran Belo and the rookie Orizu, who’s slowly becoming a force in the paint. Daquioag has been a revelation for UST this season. The 6'1" scoring dynamo is the anchor of UST’s offense. Coach Bong trusts his crafty guard so much that he lets him play isolation during crucial possessions. What makes Daquioag really dangerous though is his court awareness. He knows where and when to pass the ball, especially when the defense collapses on him. Let's see if FEU's D will hold up. If they can contain Daquioag, they'll have an easier time getting the Ws. UST’s captain is hands-down the best two-way player in the UAAP today. He has proven himself as a pesky defender in previous seasons while also being one of the better shooters in the league. This year though, Coach Bong pushed Ferrer to elevate his offensive game. No longer just a 3-and-D specialist, Ferrer finished the elimination round averaging 18 points per game. When Ferrer gets hot, he’ll scorch you straight-up. 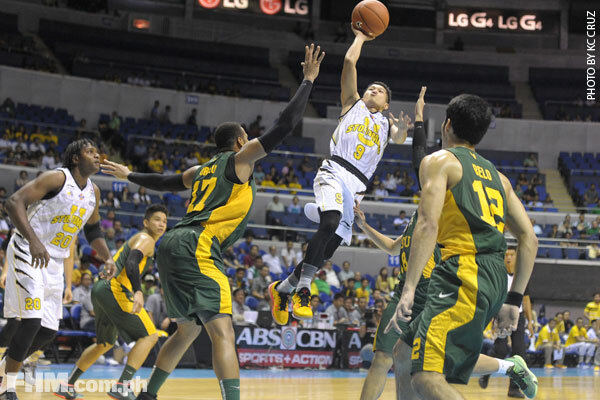 Bad news for the Tamaraws: Ferrer is consistent on offense. He has yet to score less than 10 points in a game this season. Impressive. Relentless—that’s how we would describe Pogoy’s game. 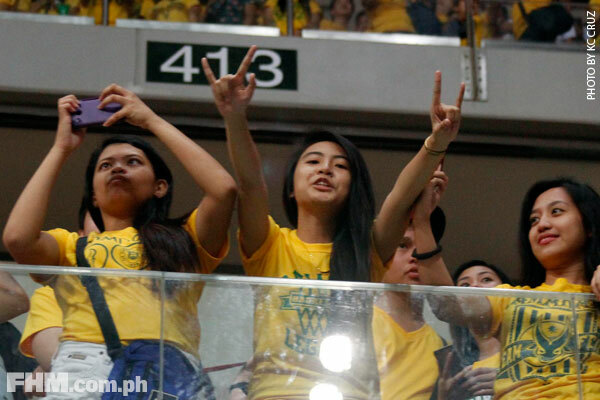 The Cebuano forward has been one of FEU’s most important players throughout the season. We all know he can score, but it’s his nose for the ball and ability to shine during crucial situations that make him extra special. He might not take over games with his scoring prowess, but he’ll take and make the most important baskets. He’s clutch. Just like Tolomia, he can also penetrate and create for his teammates. Belo may be credited for the game-winner in their Final Four game against Ateneo, but Pogoy was the one who made that scenario possible. In the final 30 seconds of the match, with the game tied at 74, Pogoy stole the ball from Kiefer Ravena and got his team a chance to take the lead. They failed to capitalize though, no thanks to a Russel Escoto miss. Ateneo’s Adrian Wong rushed down the court for a layup, only to be stopped mid-air. By Pogoy. They got the ball back, and the rest is history. Expect the same intensity from #16 in the Finals. If you ask us who is our bet to win it all, well, let's just say it's too close to call. The only thing we're sure about is that we'll be in for a treat. Game One between the UST Growling Tigers and the FEU Tamaraws is tomorrow, 3:30 p.m., at the SM MOA Arena. Game 2 is scheduled on Saturday, November 28, 3:30 p.m., at the Smart-Araneta Coliseum.